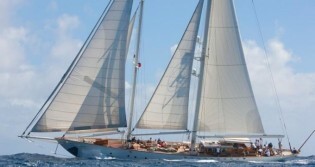 Sailing Yacht GLORIA offers 10% Discount this winter – Superyachts News, Luxury Yachts, Charter & Yachts for Sale. 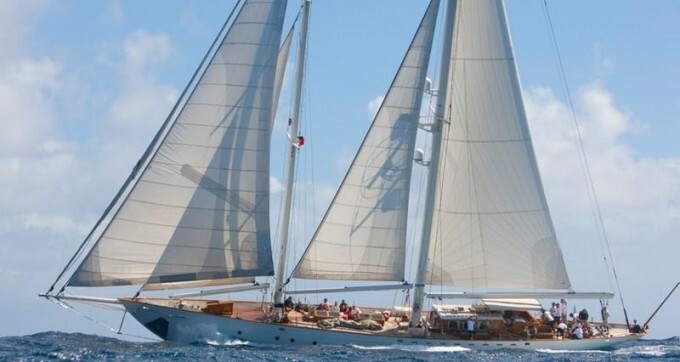 Constructed by Jongert in 1985, the classic sailing yacht GLORIA is currently offering a 10% discount off any remaining winter charters in the Caribbean if booked by 31st January, 2016. GLORIA was refitted in 2012 and offers comfortable and elegant classic interiors with modern amenities. Accommodation includes one master cabin, a double cabin and two twin cabins. Each cabin offers a TV/DVD as well as a private en suite bathroom. In addition the yacht is fully air-conditioned for additional comfort. She is taken care of by an attentive and professional crew of four. Interior styling of the vessel boasts traditional decor, lavish furnishings and fine joinery with attention to detail. It is characterised by use of cherry toned wood panels and neutral soft furnishings, creating an inviting and warm atmosphere. Guest will find an ample area for social gatherings and relaxation in the saloon, which boasts comfortable seating, tables, full entertainment systems and a beautiful formal dining table. On the exterior, GLORIA offers plenty of deck space, including the semi-enclosed cockpit area with an al fresco dining possibility, further seating and a shaded area. More deck space can be found forward and aft, where charterers can enjoy sunbathing or relaxing. Gloria can be powered by a single 400HP or 294kW Caterpillar 3406DT diesel engine, which will propel her to a maximum speed of 12 knots when not under sail. Her cruising speed is 10 knots.